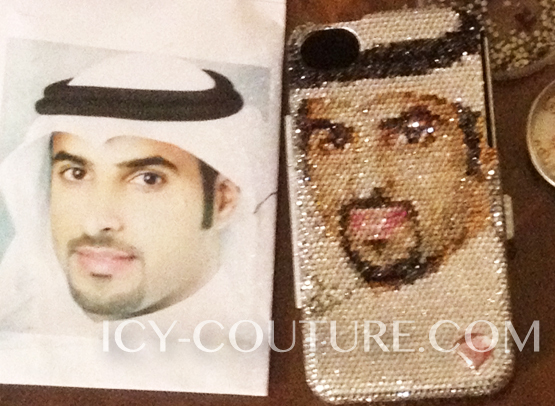 For a client in glamorous Dubai.All portraits are made in tiny size ss5 crystals. Please allow extra time for creating portraits. 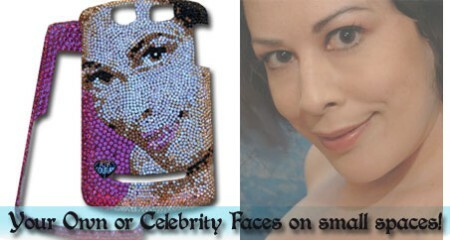 Loved Faces on small spaces! 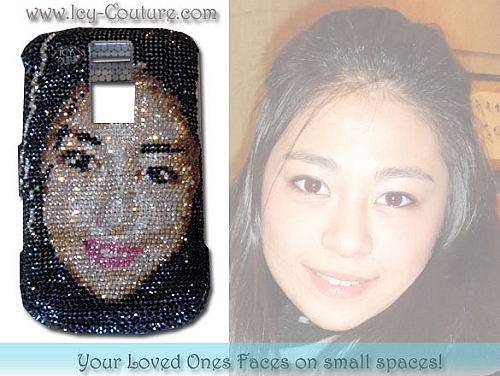 Unique Gift Ideas by ICY Couture - Custom Phone Portraits with tiny Swarovski Crystals. What an amazing and thoughtful gift that will be a memory of a lifetime! 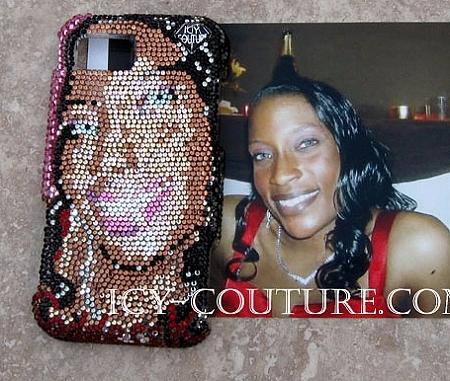 Custom bedazzled with thousands of tiny Swarovski Crystals, each crystal hand placed by our brilliant Master Artist, on your Phone, Laptop or as Wall Art, to become one of a kind piece of Crystal Art. 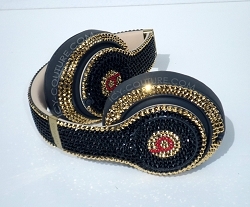 This luxury gift will impress even most spoiled Diva! Keep in mind the smaller the object, less details we can re-create.